Pvt. 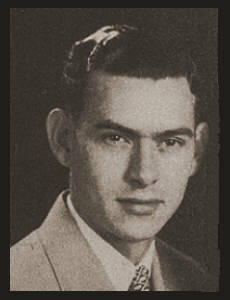 Billie Bob Brannon, son of Mr. and Mrs. C. F. Brannon, graduated from Manitou High School; husband of the former Nadine Matheson. Entered the Army in April 1945 trained in Camp Robinson, Ark., Atlanta, GA, Jackson, and Miss.